On a dreary Monday morning, I thought a little sunshine in the form of new brews, coming soon for you would be a simple way to cut through this soggy weather spell spell that we've had to endure. All of these beers are NOT out yet, but are are their respective schedules for release in the coming weeks or months. 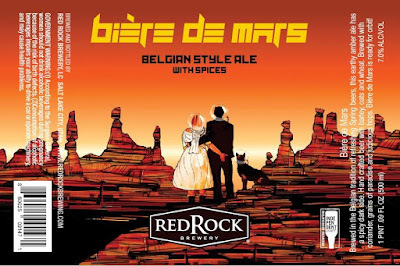 Red Rock - Biere De Mars: [Pictures Above] Literally meaning “March Beer”, This French/Belgian ale is a type of low-alcohol lambic beer that was made from the second and/or third runnings from the lauter tun during the production of lambic beer. This beer looks to be less tart and more malt driven. This Springtime ale will hopefully be coming our way soon. Hell, were halfway through April already. Look for this in Red Rock's 16 ounce bottles. T.F. 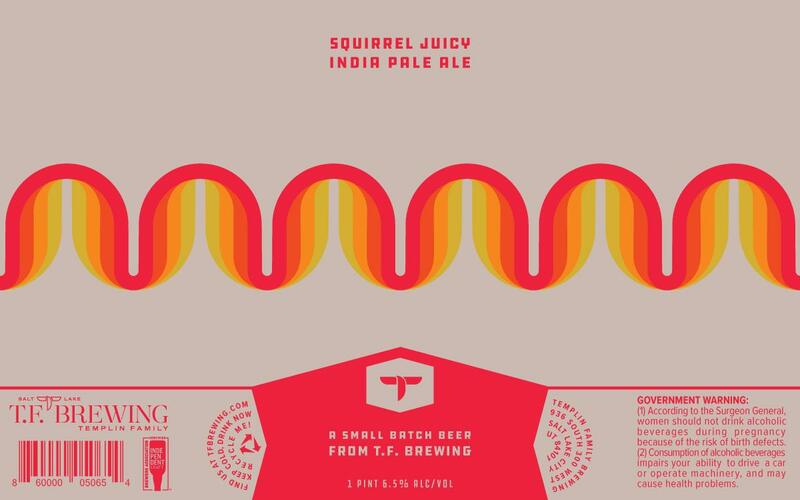 Brewing - Squirrel Juicy IPA: This high point IPA will follow the the New England IPA style by being high in tropical fruitiness and low on bitterness. In will hit in 16 ounce cans and dial in alcohol wise at 6.5%. This should be a big hit for those who aren't exactly big on traditional IPAs. driven by hops that lean towards tropical fruits, melon and citrus. This one will also hit in 16 ounce cans and have a respectable 8.6% alcohol content. So far Level Crossing has just offered up low point beers to get themselves established. This will likely be one of the first of many high points to make you swoon. 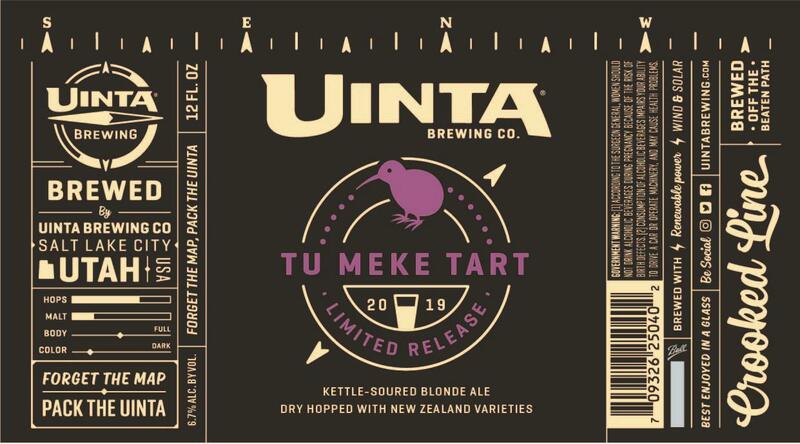 Uinta - Tu Meke Tart: This new beer part of Uinta's "Limited Release Series" will a variety of (as of yet undisclosed) New Zealand hops. The base beer will be a kettle sour, so look for a nice lemony tartness with a fair amount dry-hopping. I'd guess it will be close to a sour IPA. This beer will pop up at 6.5% and will be in uinta's 12 ounce cans. Keep checking back, when these are official the where and when will show up here as soon as I get the word. Any thoughts on these new beers? 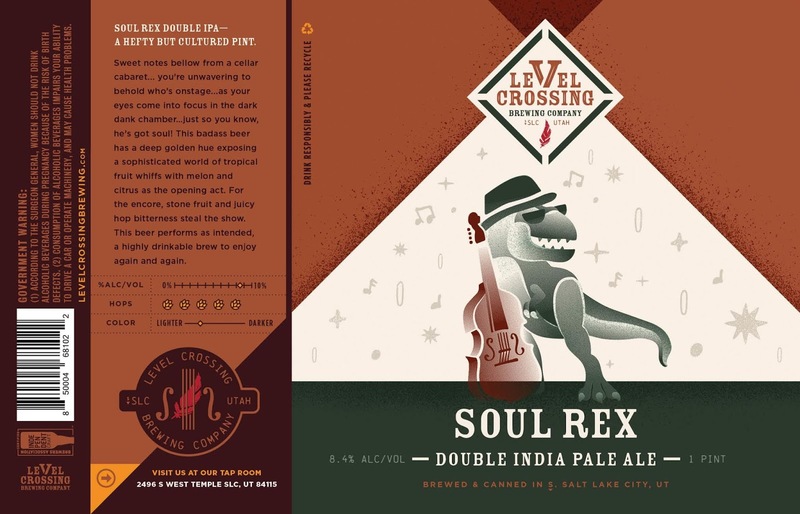 Images found at Shipcomplient.com and appear courtesy of Red Rock, T.F., Level Crossing and Uinta Brewing. What a wonderful Monday update! !